We are very excited to announce our brand-new, fully integrated document signature feature called Tokeet Signature. With Tokeet Signature, there’s no need to use expensive electronic signature providers or require your guests to print, sign, scan, then send back rental agreements or other contracts. With the new Signature feature, you can create multiple contract templates, automatically populate a template with your guest’s information, then send that contract directly to your guest. Your guest will receive a link to the contract which they can read and then sign from any device using a mouse or their finger. Once the contract is signed, both you and your guest will receive a digital copy for your records. There will also be a copy of the executed contract in your Tokeet File Cabinet for future reference. 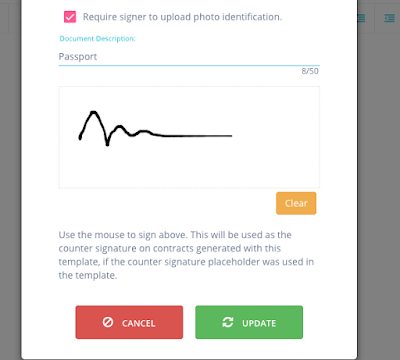 This fully integrated electronic signature feature is designed to work seamlessly with other Tokeet features including automated triggers, message templates, the Tokeet data dictionary, and more. By making the booking experience easier for your guests, Signature makes the process easier and more effective for you, too. For more information about Signature, click here. And be on the lookout for more updates about new Tokeet features. We've just released our newly redesigned invoice dashboard. 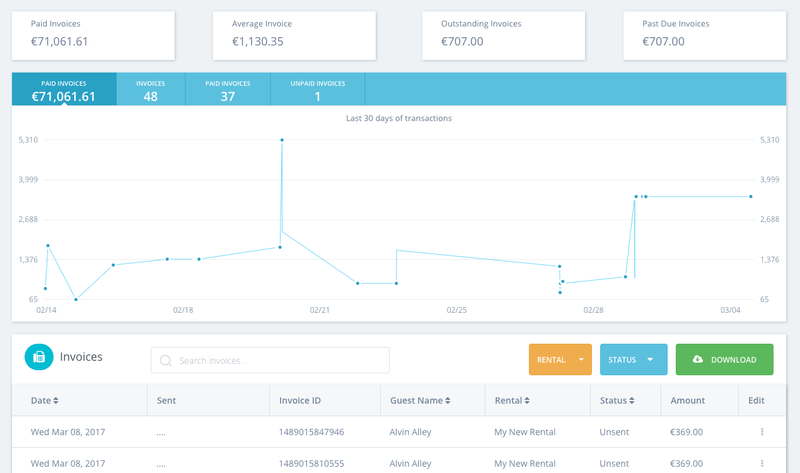 This dashboard provides a better view into your past 30 days invoices. 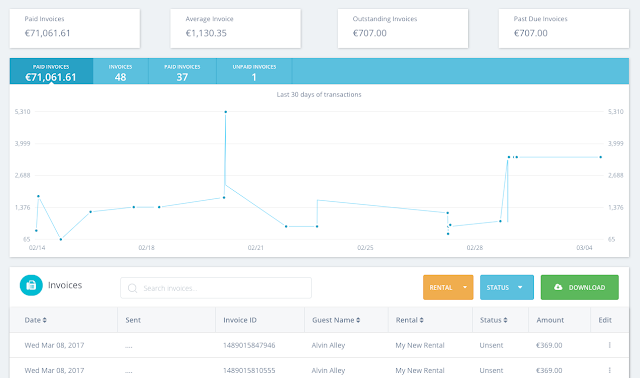 Now you can see summary statistics about the total paid invoices, the average invoice amount, the total outstanding invoices, and the past due invoices. There is also a convenient line chart to graphically represent your invoice activity. We've just launched a great little widget on the Gateway detail page which shows you some summary statistics for the past 30 days. 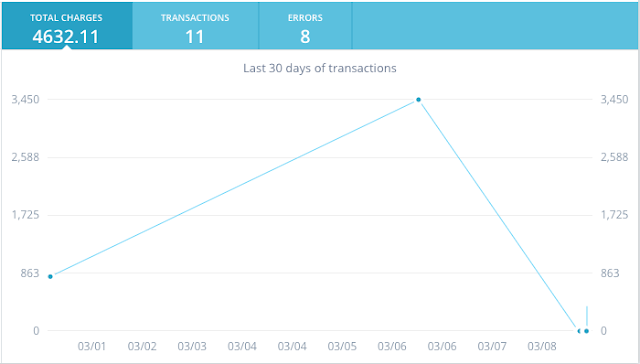 You can now see the total charges, transactions, and errors for the specific gateway over the last 30 days without having to log into your payment gateway to get this data. We hope this makes managing payments easier for most of our users. Tokeet now allows an unlimited number of users for most accounts. Every account above the owner plan will now be able to add as many users as needed. You can give access to your account to everyone who needs it without any additional costs or special configuration. With the introduction of our Advanced Gateway Module users are able to add multiple payment gateways to their Tokeet account. They may even add multiple accounts from the same gateway. Now, owners can also connect their own gateways to the Tokeet account. When the user logs into Tokeet they can access all payment gateways associated with their account and add new gateways. This is important as it doesn't require the owner to give their gateways credentials to the property manager. Also, the PM will never see the gateway credentials. This feature is another great innovation by Tokeet and a first in our industry. Tokeet has introduced a new and innovative feature for those users who want more control over when their listings are shown on Airbnb. If you are like many users who actively list and delist their rentals for various reasons then the new Tokeet Stealth Mode was created just for you. 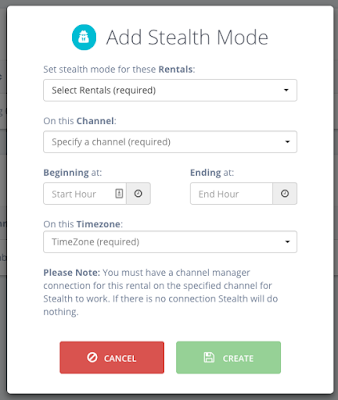 Stealth Mode delists your Airbnb rental during specific hours of the day and hides it from prying eyes. It can be automatically re-listed at a time you specify and when you are more likely to be seen by potential guests. We are excited to announce the release of our advance payments module. This new system is lays the foundation for our Owners module and more advance features soon to be released by Tokeet. With the release of this payment management system we now allow users to add multiple payment gateways to their account. You may even add multiple gateway accounts from the same gateway. If you want to use Stripe and Worldpay or multiple Stripe accounts, for example, you may now do so. You can see payment activity log directly on the gateway details and also see a summary of financial information for this gateways. The payments module also allows you to set a default gateway in the case where you have multiple gateways connected to Tokeet. This is great for our users, but how would you manage which gateway is used under various circumstances? Instead of requiring users to manually select a gateway for each enquiry we have also created Payment Rules. 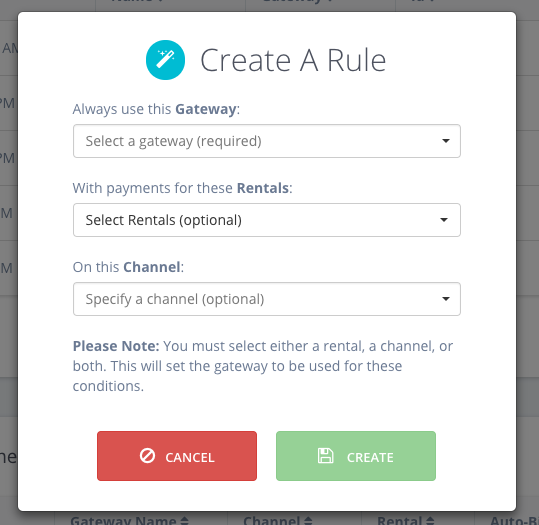 Payment rules allow you to specify which gateway to use for which channel or rental. For example, you can select your Stripe gateway to be used for Rental A and your Worldpay gateway to be used for Rental B. Even further, you can specify that Stripe is only used for Rental A when bookings come from Expedia.com, otherwise use Worldpay. These rules allow a significant amount of flexibility and specificity so you can automatically select gateways as needed. We will be releasing support for various payment gateways over the coming days and weeks. Stay tuned.